I am writing this letter to express my deep concern about the current crisis in Ethiopia. I write as a fellow Ethiopian and as a person who is not a total stranger to you because of some of our shared background life stories. In high school, I followed stories of those who went to colleges/universities from our high school to learn who studied what since I wanted to know the various academic trajectories of former students from our high school. You were among those whose academic journeys were of great interest to me. I followed the story of your academic journey from Addis Ababa University to your graduate studies in Finland. I did also follow your subsequent career in an academic institution after your return home at the (formerly) Water Technology Institute. From my personal interactions with you for a number of years, I had only respect and admiration for you. However, you and I hold deeply different views when it comes to Ethiopian politics. I consistently and persistently express my concern about Ethiopian politics and especially about the current situation in Ethiopia, mostly on the social media. I persistently and consistently condemned the human rights violation in Ethiopia under your leadership and before you became the Prime Minister. But this time I have decided to address you personally about my deep concern concerning the fate of Ethiopia at this tipping point when the country evidently appears to be heading into catastrophic ethnic conflicts or a civil war. Conditions that may lead to ethnic cleansing and wide scale genocide are ripe as it is increasingly becoming evident to any keen observer of the current situation in Ethiopia. In this letter, I outline some urgent measures that can avert catastrophic ethnic conflicts or a civil war among major ethnic groups if you and your government will act on them. There are several solutions that can reroute the direction of the country away from the worst to a different future in which fellow citizens can have a decent opportunity to work together to save the country which millions call home. As you definitely would hear it time and again, it is common knowledge among millions of Ethiopians that they strongly believe that you do not have any real power or authority to exercise as the Prime Minister of Ethiopia. But what people believe about you, viz., your lack of real political power, and what you know about your political power as the Prime Minister, could be totally different. But the following is true, nonetheless: Either you have a real political power as the Prime Minister of Ethiopia or not. Now if you have a real political power and if you can exercise it the way the late Prime Minister did, you can propose the following to those who are in a leadership position in the government with you with an intention to act on the proposals below. Without any precondition ALL political prisoners including journalists who are imprisoned for expressing their opinions must be released. A corollary of releasing all political prisoners and journalists is to stop arresting and jailing citizens for expressing their political views and organizing themselves on the basis of their political views. Remove any restrictions on the press, allow the media to serve the people of Ethiopia without any interference from the government. The government must do away with the so-called anti-terrorism law. This law is designed to silence freedom of expression and to stifle dissent from the political views of the government. The so-called anti-terrorism law has nothing to do with protecting the Ethiopian people from real threats from terrorism. This law must be repealed. The government must establish a clear way for the courts to maintain their independence from interference from the government. Immediately establish an independent body to investigate the recent deaths, injuries, and arrests of citizens in the wake of the protests in the Oromia and Amhara regions and elsewhere in the country. This independent body can hardly be truly independent until and unless it includes investigators that are impartial, just, transparent. Obviously, these are among the most immediate and effective steps your government can take to save the country from a looming catastrophic fate which is a direct result of the failure of your government. True leadership is needed in times of crisis and Ethiopia is now in crisis and you know the solution as outlined above can lead the country out of its crisis. If and when those in your government reject the above set of solutions, here is what you can do: RESIGN. There are good reasons why your resignation will be a good thing for the country in the event the above set of solutions is not materialized, which very, very likely will not. But there is a difference between giving up a solution without trying and giving up a solution after trying it. Your resignation will leave the core of the TPLF naked more than anything else since you’ve served as a cover for the TPLF operation. Millions of Ethiopians strongly believe that the TPLF has used you to score political points. 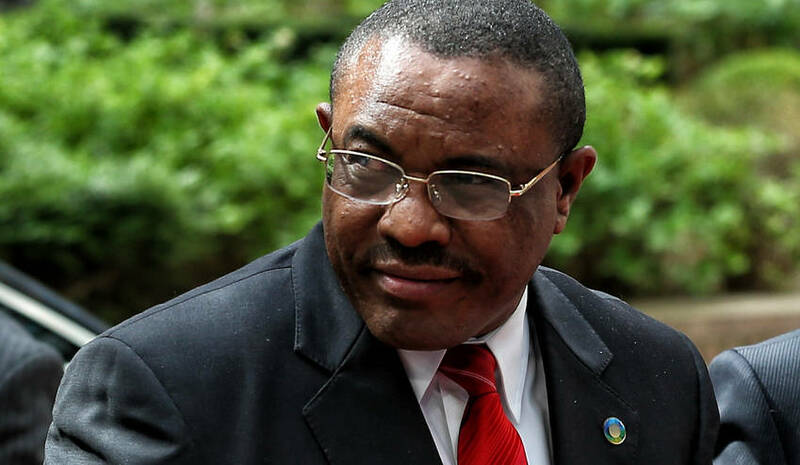 Consequently, for millions of Ethiopians you’re a “Prime Minister”, never one literally. Note this: If and when you resign, the core of the TPLF will find itself with the most difficult decision to make as to how to move forward without the role you played for their political schemes. That will make the TPLF so vulnerable and that is a good thing. Your resignation will give rise to a catch-22 situation for the TPLF. When the TPLF is in disarray, you’ll be on the side of the people of Ethiopia. Your resignation will open a door for your own redemption. You’ll be the first political figure in Ethiopia’s modern history who resigns on his own, having put his country’s interest before his own. This will be your most significant legacy since you’ll be setting a precedent for future Ethiopian politicians. You can easily imagine that one inevitable option you’ll face when the TPLF/EPRDF collapses is what had happened to the previous two regimes your government had replaced. To embrace this fate is your choice too. Here are some good reasons why meeting the above demands of citizens (a-f) will do a great good both to the government and the people of Ethiopia. First, the above demands of millions of Ethiopians are not just unique to people in the Western democracies. These are conditions under which humans, anywhere, would flourish. Meeting these demands is all about respect to basic human rights and acknowledgement of human dignity. There is nothing Western or Eastern about them—they are just conditions that reflect the natural rights of humans that no government can give or take away from humans without violating what is naturally the right of all humans. The basic idea of a properly functioning government is not to allow or suppress basic human rights; rather, the role of the government is to protect basic human rights when they are violated by anyone. Two, if the Ethiopian government begins meeting the above demands, there is no doubt that the people who are protesting and demanding the government to step down will stop these demands. The most immediate value of meeting these demands is winning the trust of citizens. What else will any government need more than winning trust from its citizens? Third, meeting the above demands will have an immediate consequence for the government in that this government will undergo a much needed and a long overdue reform. The reform should include a clear commitment by the government to form an all-inclusive multi-party election by the end of the current term. It is important to note this: Meeting the above conditions will be a necessary step to ensure the beginning of genuine democratization of the country. By the time the next election builds on the conditions that have been met (as outlined above), real democratization will already have begun. This will save the country from an impeding break down in law and order and a civil war that can break out any time since conditions for these situations are already ripe and ready. It is crucial to point out what is missing on the above list of proposed solutions that can make a real difference to the crisis situation in Ethiopia now and the future of Ethiopia: I did not include some of the demands at the heart of the Oromo Protest and the Amhara Resistance, among others. The rationale for my focus on the above listed demands is obviously to make a case for a long overdue need for genuine democracy in Ethiopia. If a genuine democracy had been in place in Ethiopia, most of the demands at the heart of the Oromo Protest and the Amhara Resistance would have been addressed a long time ago. The root cause for the current popular uprising and demand from the people of Ethiopia is a clearly evident absence of democratic governance in Ethiopia at the heart of which are the demands I listed above. Finally, I appeal to your conscience to respond to the cries of the Ethiopian people in a way your religious commitment demands. Though State and Religion are separate in Ethiopia, your religious beliefs are not separate from you. It will not be against the interest of any citizen in Ethiopia, believers or non-believers, at the very least, if you order the security forces to stop killing, in broad day light, innocent people who participate in peaceful protests. Given your religious commitment, you would believe that humans are created in God’s image, and you would believe that that belief is a foundation for treating all humans with respect and dignity. In light of what I have said above, there is absolutely no justification to respond to the peaceful demands of citizens with live bullets. You cannot exonerate yourself from being the cause for deaths, injuries, and torture of fellow citizens. You ordered those killers to destroy the lives of fellow citizens or you were ordered by the TPLF core group to order those who killed fellow citizens, or you did not apparently stop to order when the TPLF operatives give shoot to kill orders. Whichever is the case, there is no easy way out for you from taking some responsibility. But here is one possible way for you to consider: If you were actually opposed to the killings and tortures of fellow citizens, but you were threatened by the core of the TPLF government, and as a result you did what you did, ask the people of Ethiopia for understanding and for forgiveness and then resign. You can make your second case for your resignation, apart from what I suggested above, on the grounds that your convictions as a committed religious person and your conscience will no longer allow you to continue to serve in the position as the Prime Minister that involves being the cause of the deaths and tortures of innocent human beings, your fellow citizens. It is my hope that you will take some time to reflect on your role in Ethiopia at this extremely critical juncture in Ethiopian history. It takes a lot of courage to decide to give up advantages a position you hold brings, but courage as a virtue demands that the right thing for you to do for the people of Ethiopia is to resign, especially if you cannot achieve a goal to genuinely reform your failed government on so many levels. It is important to keep in mind that to resign under your circumstance is not a sign of defeat. As I indicated above, there are good reasons for you to resign. You’ll do a greater good to the people of Ethiopia by resigning than by sticking to the TPLF whose day of demise is not in the distant future. For your decision to resign you can consider the following additional reason as well, reason three: You’re the first person from a minority ethnic group from the South to hold a position of the Prime Minister of Ethiopia, whether you exercise real power as a Prime Minister or not. But for you to stick to the TPLF and to face the shameful demise of this regime is for you to decide to go in the history books as the first Prime Minister from Wolaytta whose political career ended in shame and disgrace either in jail or in exile. Do you really want this to be your legacy? Clearly and for reasons offered above as well, your resignation will be a lasting positive legacy for the people of Ethiopia and for the people of Wolaytta whose face you are. As a fellow Ethiopian and a native of Wolaytta who has a personal acquaintance with you, I urge you to resign on the basis of the reasons offered above. But then, if you believe that you can play a critically needed role of reforming the abysmally failed government, your government, in a reform which will lead the country to a genuine democratization by objectively and truly meeting the demands outlined above, your rejection of an option to resign will be a rational decision. At the end of the day, and in the final analysis, I’m of a conviction that in light of abundant evidence that spans a quarter of a century, there is little or no evidence that your government will undertake a genuine reform that will significantly change the future of Ethiopia for better. It is my hope that you make a sound, rational decision one way or the other.